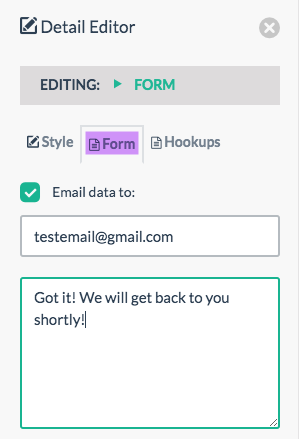 Selecting the forms tab allows you to setup basic email forwarding. Just input the email address you want the communications to go to. You can also specific the thank you message. You also have the option of connecting your own autoresponder integrations. 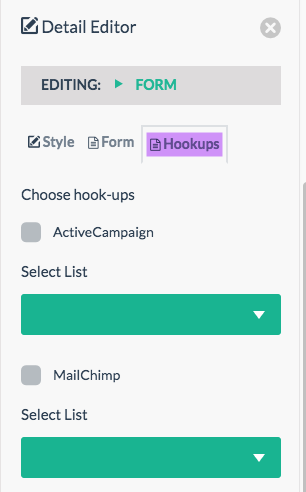 Currently either MailChimp or ActiveCampaign, with more in the works!